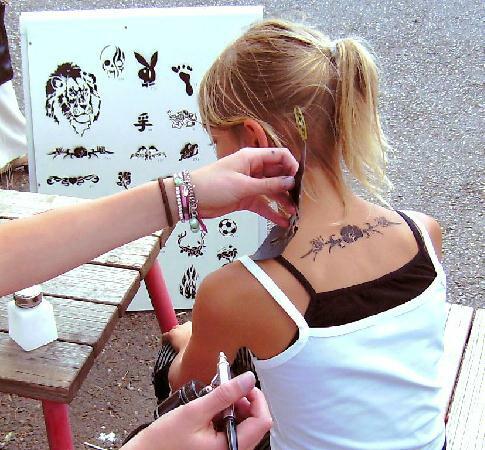 Airbrush Tattoos / Painted Tattoos Airbrush Tattoos are a great way to express yourself. You get to choose from a variety of colors and designs (we can even add designs to fit in with your theme). Kids and adults love these beautiful tattoos and they wash off easily. Contact us by filling out our Request a Quote form for more information on having our Airbrush Tattoo Services at your next event.